A total of 114 students successfully graduated from Fulton Adventist University College during the 2018 graduation ceremony at Sabeto, Nadi, yesterday. Among the 114 graduates was a mother-of-one, who was overwhelmed with her achievement and for having her five-month-old daughter with her. 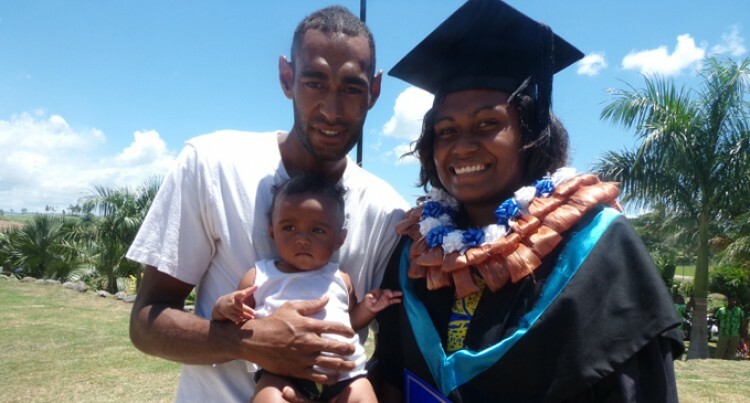 Luse Ratu, 23, who graduated with a Bachelor in Education, said it was a proud moment for her. “I am so happy and I know I am blessed for having come this far,” she said. She said facing and overcoming challenges allowed her to be a responsible person. “I had challenges with assignments, but it was good and it made me a responsible person and has brought me to where I am today,” she said.